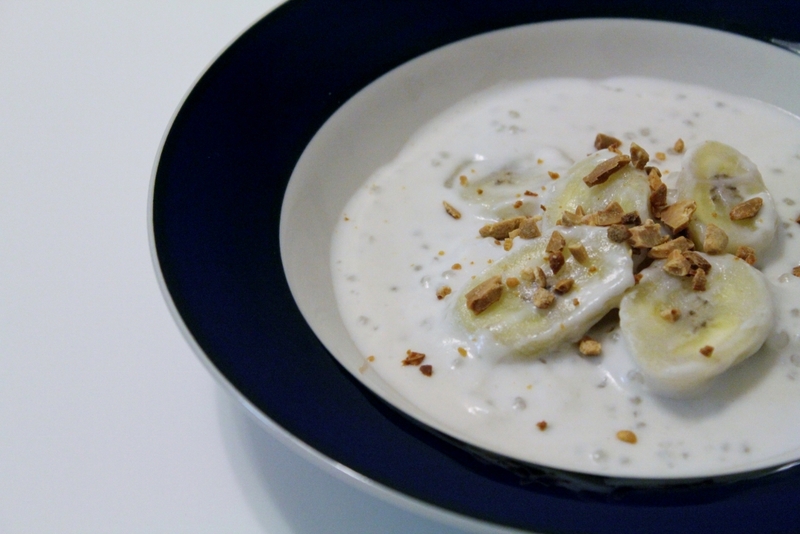 I have been craving “che chuoi” or banana with coconut milk and tapioca for a while. Besides being one of my favorite desserts, che chuoi has 6 ingredients and takes less than an hour to make. When I was little, my mom would pick me up after school, and we would stop by a street vendor for che chuoi before heading home. Nowadays, I get my che chuoi fix from Che Hien Khanh in Westminster. 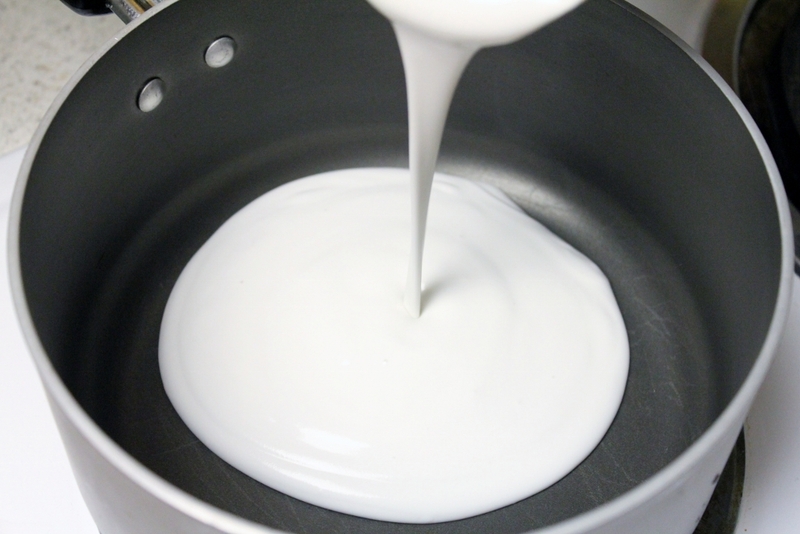 Che chuoi originated from South Vietnam and has become a popular dessert. 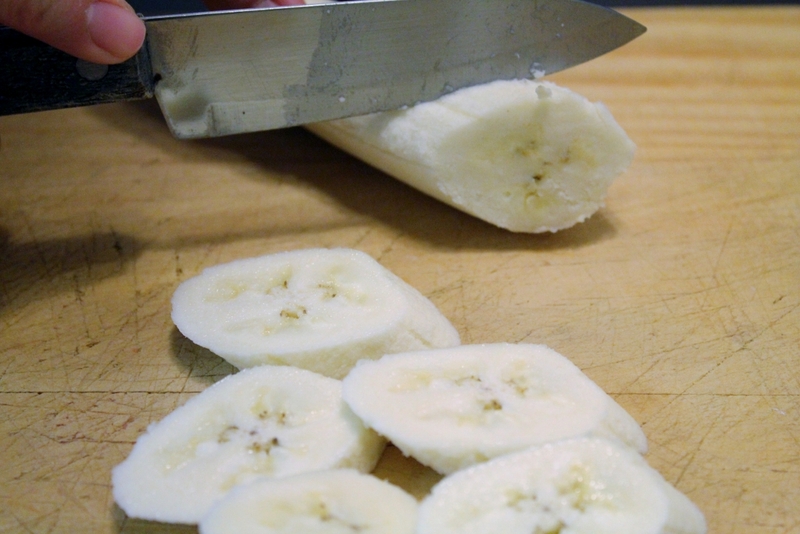 The best banana for this dessert is “chuoi sap” which boasts a unique texture and retains its firmness after cooking instead of becoming mushy or falling apart. 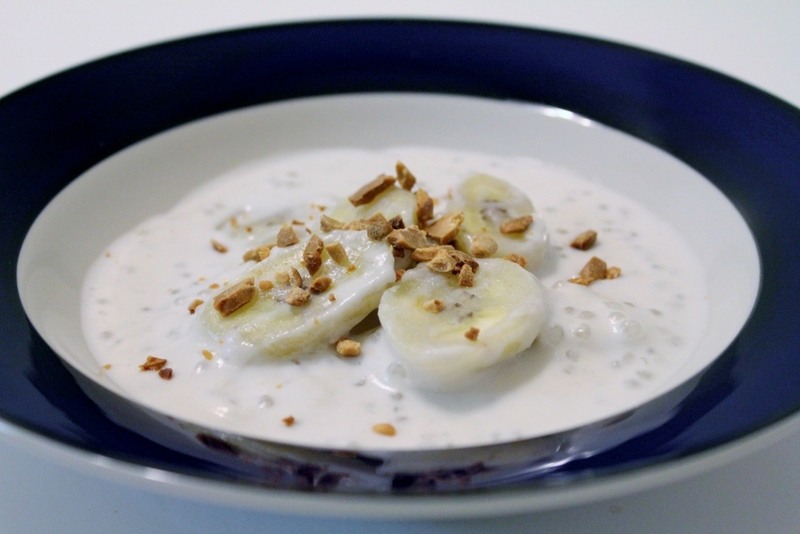 I have not seen “chuoi sap” sold at the local Asian supermarkets so I substituted burro bananas for my recipe. Che chuoi can be eaten hot, at room temperature, or chilled, but I like my right off the stove. This dessert is perfect by itself or you can serve it at the end of your dinner party. 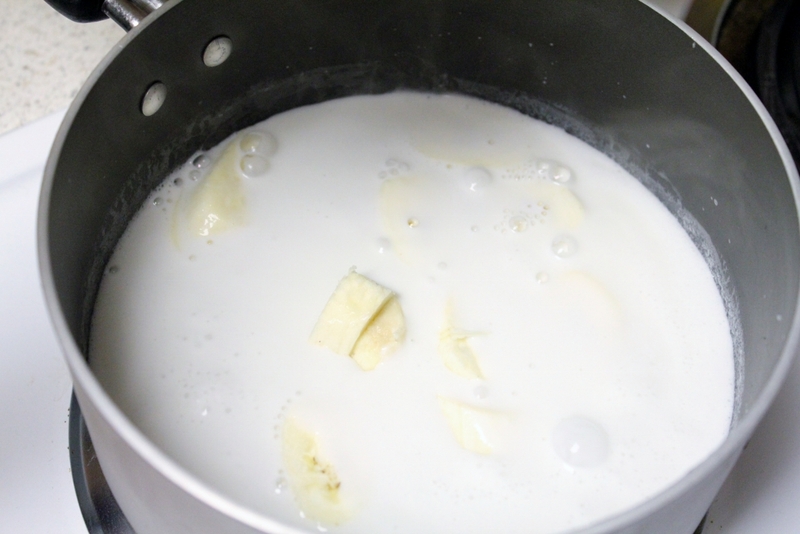 Bring the coconut cream, sugar, and salt to a boil, then lower the heat and let it simmer for 15 minutes. Add the bananas and simmer for 15 minutes. 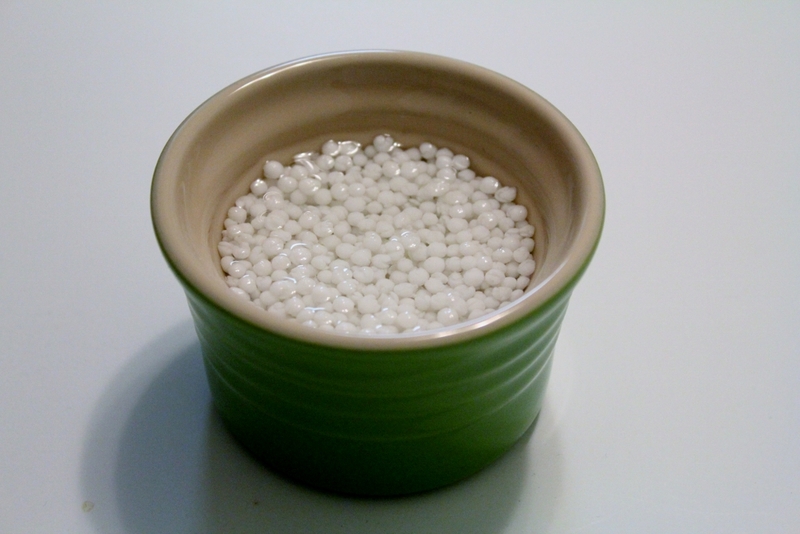 Then add the tapioca and let everything cook for another 10-15 minutes until you see the tapioca pearls become clear. Garnish your dessert with toasted peanuts.